Communication, trust and mutual respect are important in any relationship, and that’s certainly true in healthcare. Patients with complex needs or chronic illness who feel heard, valued and respected by their care managers are more likely to take an active role in their own care, leading to improved outcomes and lower costs, research shows. The authenticity of the care manager-client relationship—how genuine and consistent the patient perceives the provider to be—also makes a difference, some studies have found. And though learning how to build relationships takes time and training, the investment pays off in several ways. For instance, a 2013 study published in Health Affairs looked at 33,000 clients in a large healthcare system and found that costs were 8-21 percent higher for clients with very low activation levels compared to costs for clients with the highest activation levels. What leads to higher activation? Relationships. In the Camden study, investigators identified security, genuineness, and continuity as crucial ingredients to authentic healing relationships. “Secure” meant the patient felt the care manager was accepting, reliable and attentive; “genuine” meant the care manager was perceived as honest, respectful and interested in the patient. 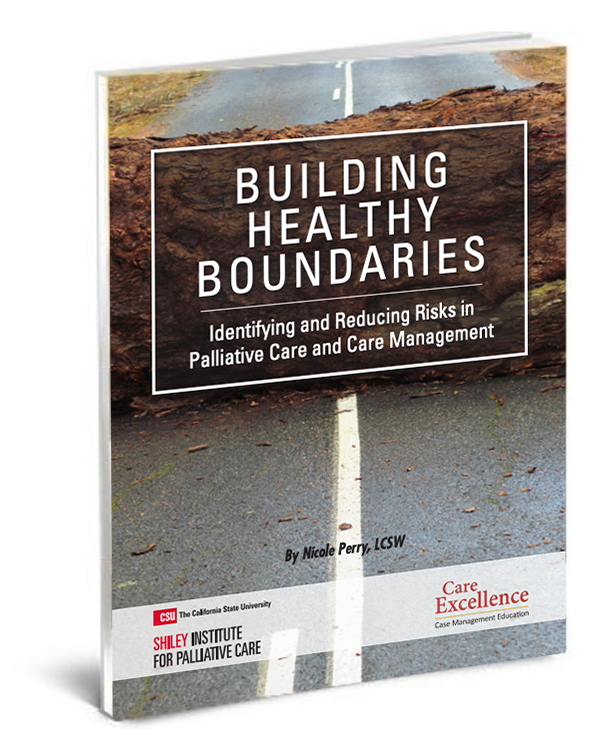 Care management relationships can also play key role in patient-centered care, ensuring that treatment and care decisions are shaped around a client’s values, goals and wishes. As the evidence base grows, programs like Care Excellence have begun to address the power of authentic and strong client relationships in care coordination, with new curriculum that builds critical skills like communication, empathy and teamwork. Relationship Building for Care Managers is a self-paced online course that offers 10 CEs or CCMs for care managers working to engage and activate clients facing health challenges. The curriculum delivers skills, tools and resources in areas such as interdisciplinary care teams, member relationship and engagement, community partners, and patient activation principles. For more information, call 760-750-7288. Grinberg, C., Hawthorne, M., LaNoue, M., Brenner, J., & Mautner, D. (2016). The Core of Care Management: The Role of Authentic Relationships in Caring for Patients with Frequent Hospitalizations. Population Health Management, 19(4), 248–256.